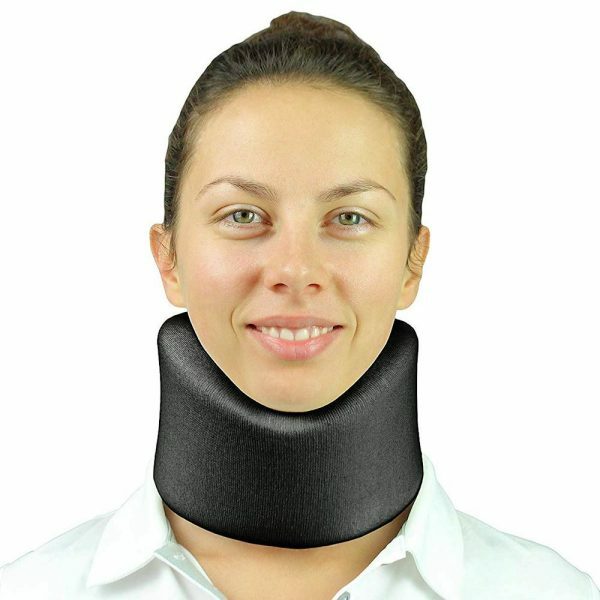 The foam neck collar is a neck support made from light density foam and knitted fabric. 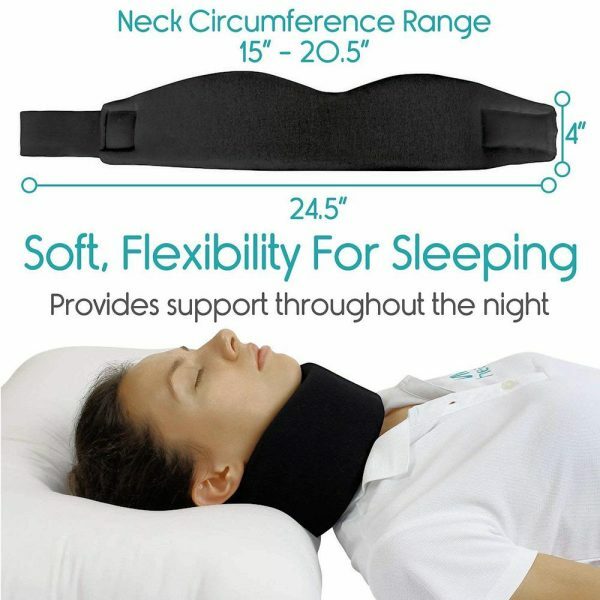 When properly positioned under the jaw, the foam collar gives mild support to help relieve cervical spine pressure. 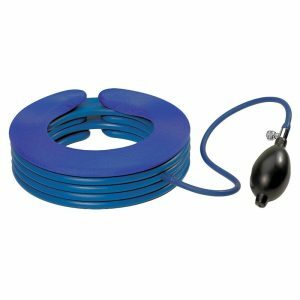 These collars provide very mild support unless secured very tight, and mainly acts as a reminder for restriction and offers some protection. 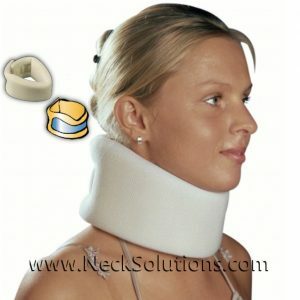 The foam neck collar is a neck support made from light density foam and knitted fabric. When properly positioned under the jaw, the foam collar gives mild support to help relieve cervical spine pressure. 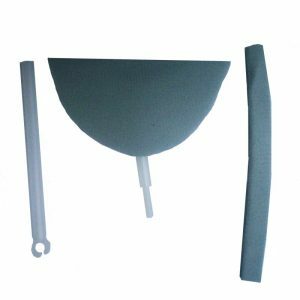 These collars provide very mild support unless secured very tight, and mainly acts as a reminder for restriction and offers some protection. Easy application. Provides total wrap around support for head and chin. Available in white or black colors. 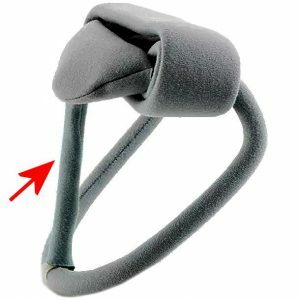 The velcro strap permits the foam neck collar brace to be easily adjusted for neck circumferences ranging from 15 – 20.5 inches and has a height of 3 inches. Typically used for symptomatic relief of muscle, tendon, ligament or soft tissue injury of the neck region. 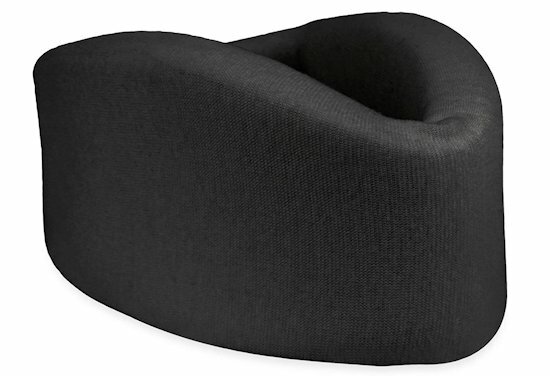 Contoured design and hook-and-loop closure provide support and act as a gentle reminder to limit motion. 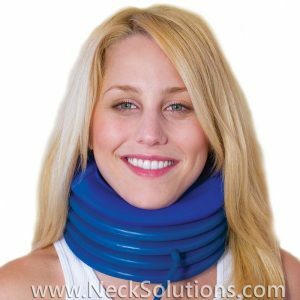 The foam neck collar uses a comfortable contoured design for proper positioning under the jaw to offer mild levels of support for the weight of the head to take pressure off the neck muscles. It is very economical. 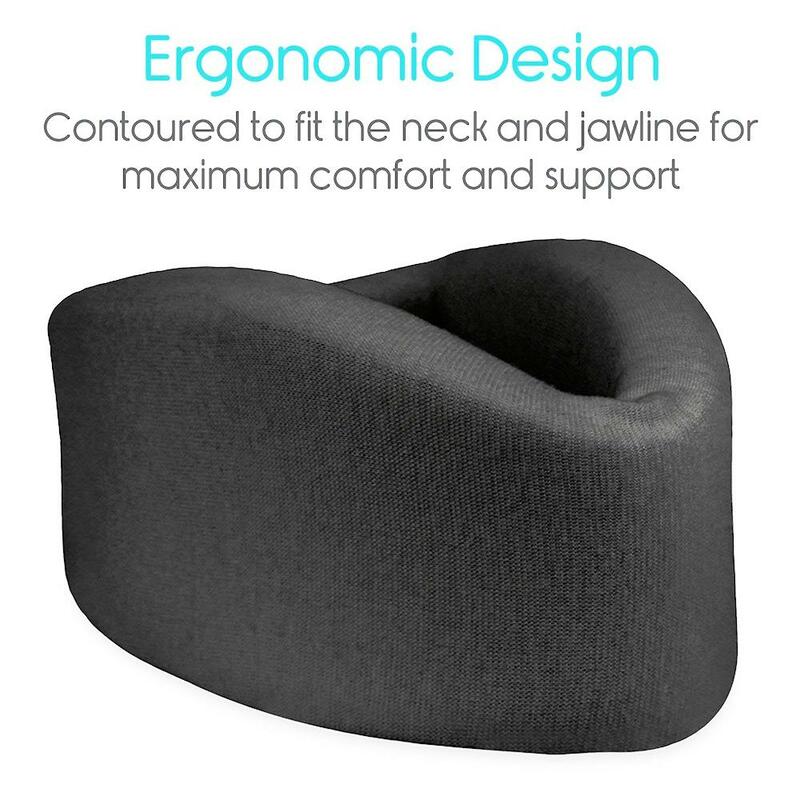 It can help to keep the neck warm in cold climates and is fairly cool for warm climates. Provides non-rigid support and assists in limiting mobility. For mild conditions, it helps relieve pain from neck muscle spasms or whiplash injuries where there are neck muscle tears or ligament stretching. 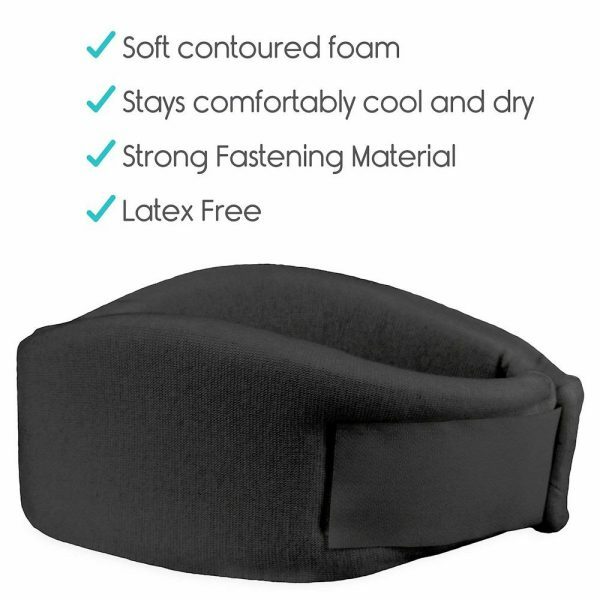 Washable, light density foam covered with stockinet tpe fabric. Hook & loop closure for quick, easy fit. Latex free. 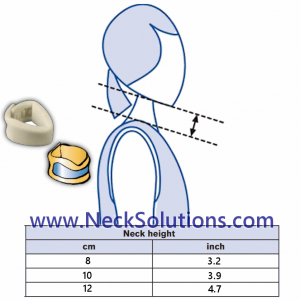 Typical collars support the neck and limit mobility in order to help relieve cervical spine pain. Some assist to realign and stabilize the vertebrae. This is not recommended for anything other than mild conditions. As such, it can be worn throughout the day and even while sleeping for extra support and relief. 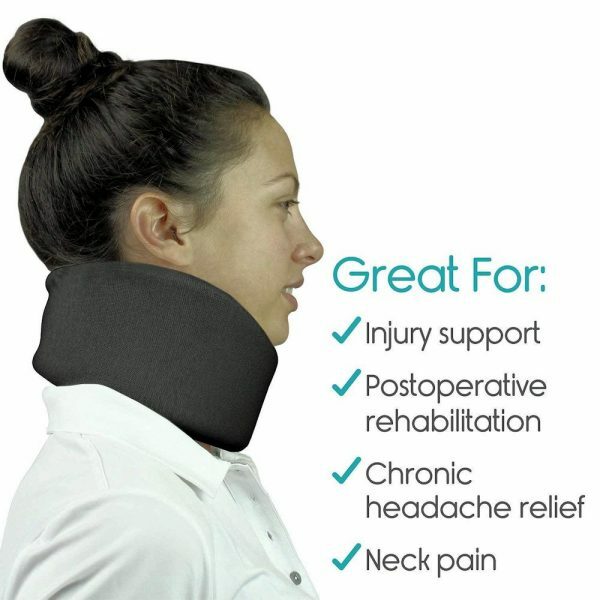 You should seek a more sturdy design and construction for moderate conditions and to aid in headache relief related to neck strains and sprains. 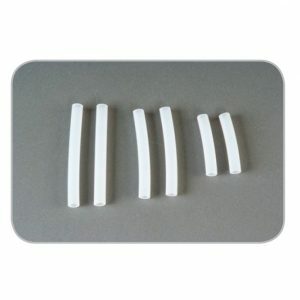 These are the type of foam neck collars we would often provide for whiplash patients. They are typically very inexpensive and the effects are very mild and often used to provide some comfort (physical and/or mental). I have seen medical organizations charge insurance companies or personal injury cases way too much money for these, while the patient pays nothing. Great benefits to the companies with minimal benefit to patients. 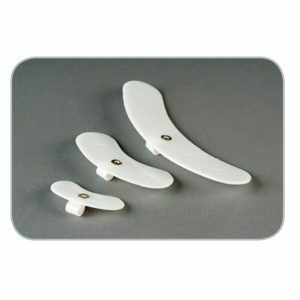 That being said, if you are looking for a minimal support foam collar, this will do the job at a great price.